We report rates of regression and associated findings in a population derived group of 255 children aged 9–14 years, participating in a prevalence study of autism spectrum disorders (ASD); 53 with narrowly defined autism, 105 with broader ASD and 97 with non-ASD neurodevelopmental problems, drawn from those with special educational needs within a population of 56,946 children. Language regression was reported in 30% with narrowly defined autism, 8% with broader ASD and less than 3% with developmental problems without ASD. A smaller group of children were identified who underwent a less clear setback. Regression was associated with higher rates of autistic symptoms and a deviation in developmental trajectory. Regression was not associated with epilepsy or gastrointestinal problems. The study was funded by the Wellcome Trust and the Department of Health. We thank the expert group, Patrick Bolton, Antony Cox, Ann Gilchrist, Rebecca Landa, Ann Le Couteur, Catherine Lord, Lennart Pedersen and Michael Rutter. Thanks also to Greg Pasco, Samantha Ross, Vicky Slonims, Emma Rowley and Martha Turner for their help with assessments. Baird, G., Pickles, A., Simonoff, E., Charman, T., Chandler, S., Loucas, T., Meldrum, D., Afzal, M., Thomas, B., Jin, L. & Brown, D. (2008). 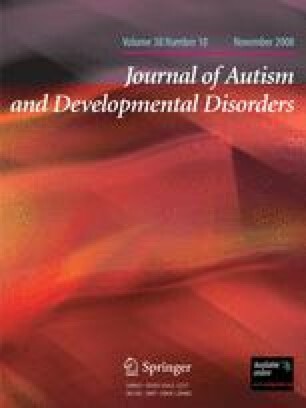 The measles virus and antibody response to infection and vaccination in autistic spectrum disorder: A virological case control study. Archives of Disease in Childhood. doi: 10.1136/adc.2007.122937.